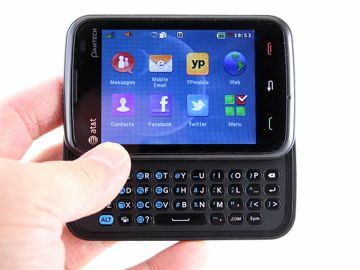 Pantech delivers another quick messaging device to AT&T. 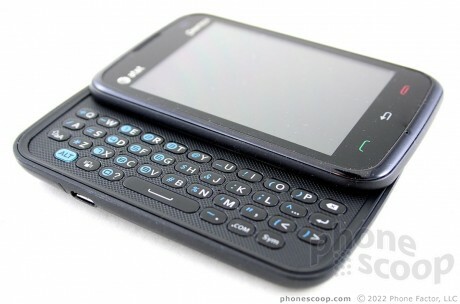 The Renue boasts a touch user interface and physical QWERTY keyboard for pecking out messages. See if it's worth a look in Phone Scoop's full review. Not ready for a smartphone yet? No worries, Pantech has your back with the Renue. In addition to being environmentally friendly, the Renue bundles together a full QWERTY keyboard and a touch screen in this pocket-friendly quick messaging device. Pantech and AT&T today revealed the Renue, a "quick messaging device" with a slide-out QWERTY keyboard and rugged design made from 67% recyclable materials. The phone doesn't require a smartphone data plan, but uses Qualcomm's BREW-MP platform to provide smartphone-like features, including a touch screen and multiple customizable home screens.